Ships tomorrow if you order in the next 17 hours 35 minutes. Coconut oil is classified as a superfood. In an unhydrogenated state, pure virgin coconut oil contains 92% saturated fat. This tropical oil contains an unusual blend of short- and medium-chain fatty acids, which is why it may offer some health benefits. It has several uses in medicine, food and industry. 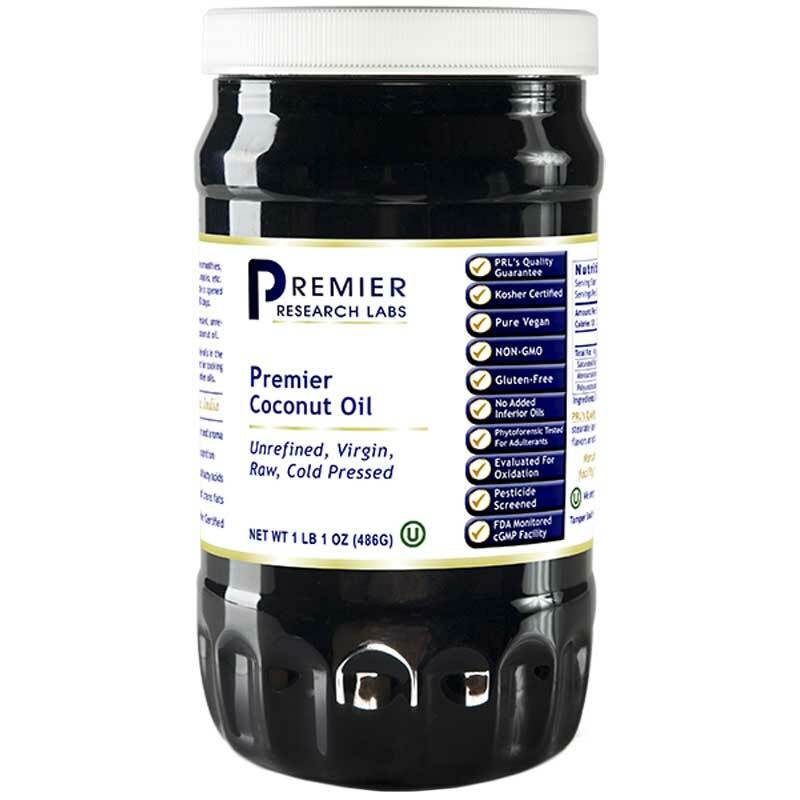 Premier Coconut Oil by Premier Research Labs is a virgin, raw, unprocessed coconut oil. 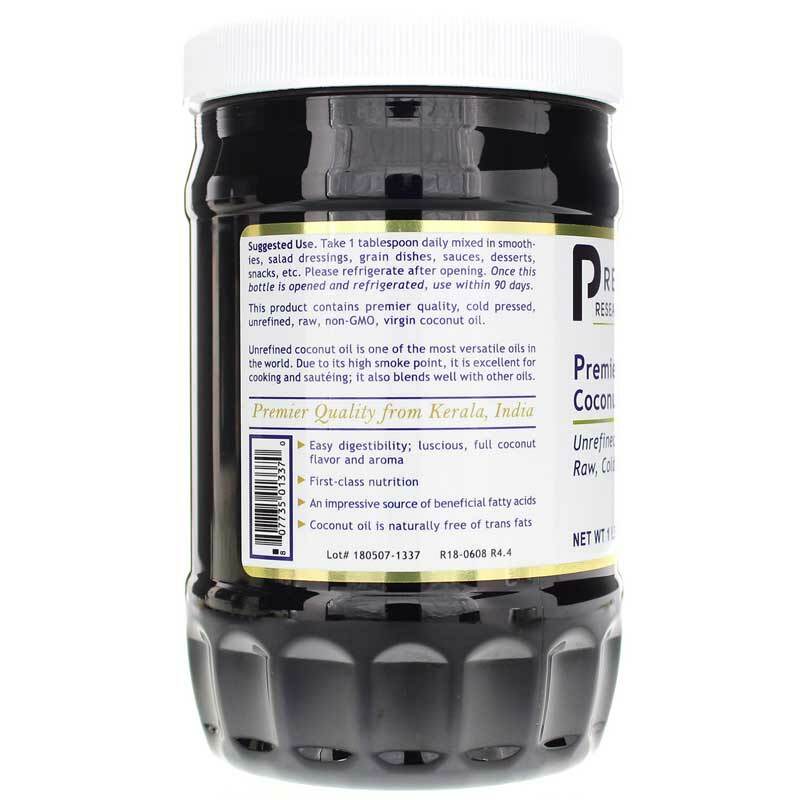 Premier Research Labs' Premier Coconut Oil is shipped from Kerala, India, which is considered the finest source in the world, in nontoxic HDPE drums. To prevent oxidation, it is nitrogen flushed before shipping. 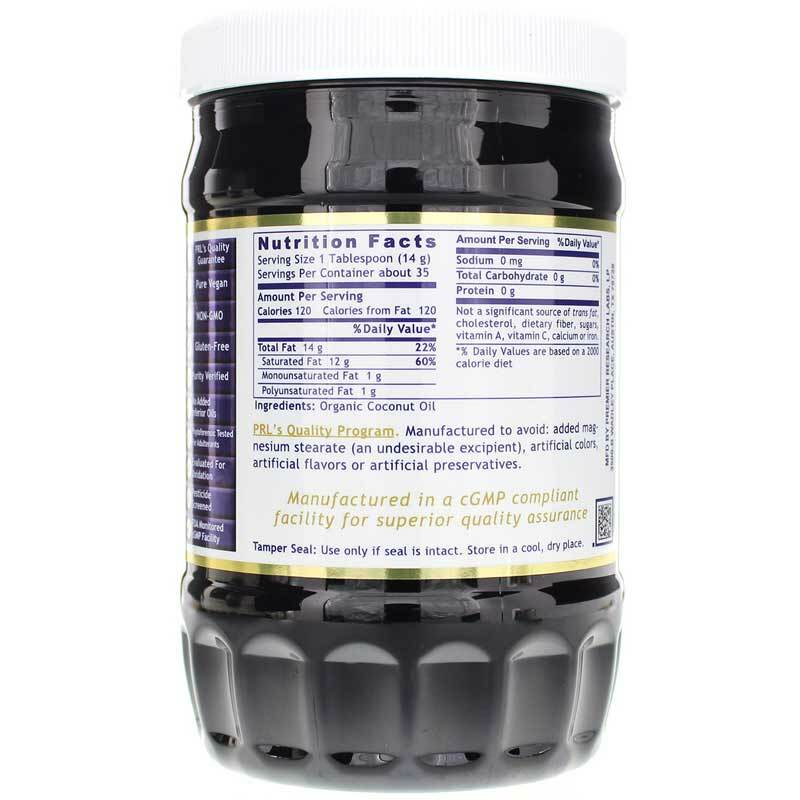 When it reaches their U.S. facility, it is repackaged into light-blocking, nontoxic, PET plastic jars. It tests on to all 4 biofield polarities, and is 100% pure vegan, 100% excipient free and gluten free. If you're looking for a quality coconut oil that is virgin, raw and unprocessed, give this a try! Order online today! Ingredients: Organic coconut oil. Non-GMO. Take 1 tablespoon daily mixed in smoothies, salad, dressings, grain dishes, sauces, desserts, snacks, etc. I use this for everything including cooking, baking, skin moisturizer. It's amazing! I use Premier Coconut Oil because it is of superb quality. Of course I use it also for cooking and baking. great price but also Premier Research is also the very best I quality I have found so far in coconut oil. The violite container is worth the price alone and I will be reusing it as a small food canister on my kitchen shelf. Premier Research Labs is the best tasting coconut oil out there. Smooth, yet has a nice coconut taste. You won't be disappointed! This Coconut Oil was delish. I was supposed to take 1 T twice a day so keeping it in the fridge did not work for me. Did not spoil in a month. I use coconut oil in my coffee. Their products are the very best!